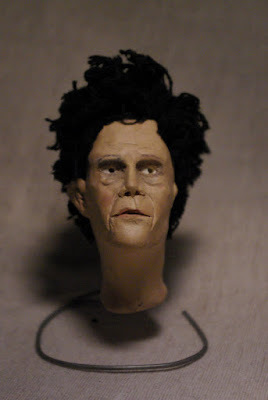 Tom Waits Stop-Motion Puppet Head! While looking through some old boxes I came across this gem. 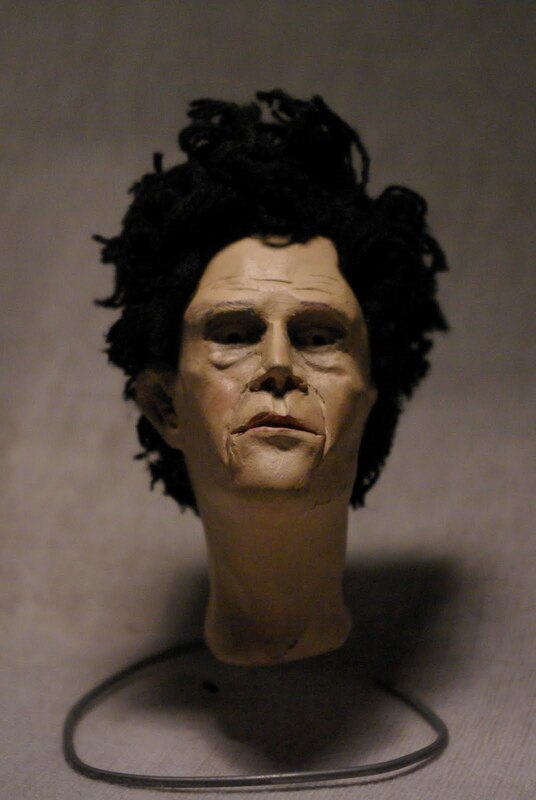 A head sculpt for a Bone Machine era Tom Waits puppet I never got around to finishing. About 3" from the top of the hair to the bottom of the neck. 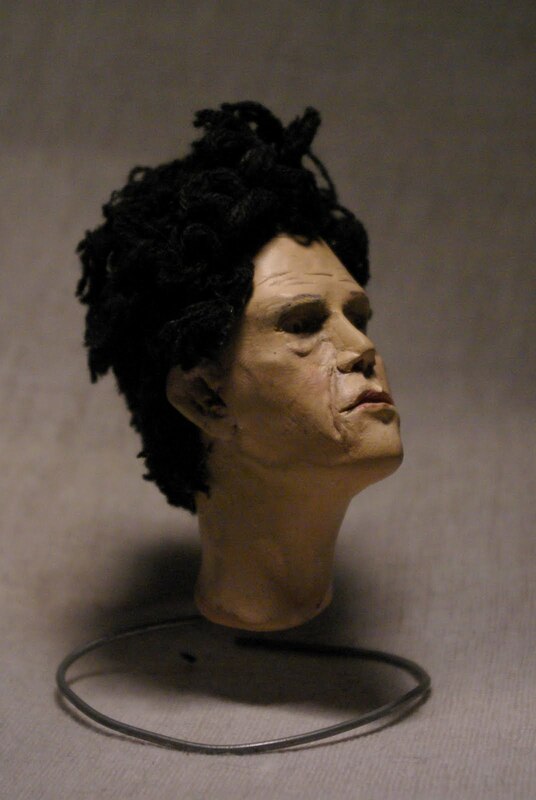 Lost an ear somewhere between now and then. 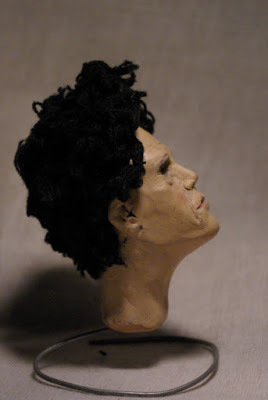 Made from Sculpey, painted with acrylic and the hair is made from a shaggy, knitted sweater I found in a used clothing store and chopped up. The eyes are animatable beads baked into the head. 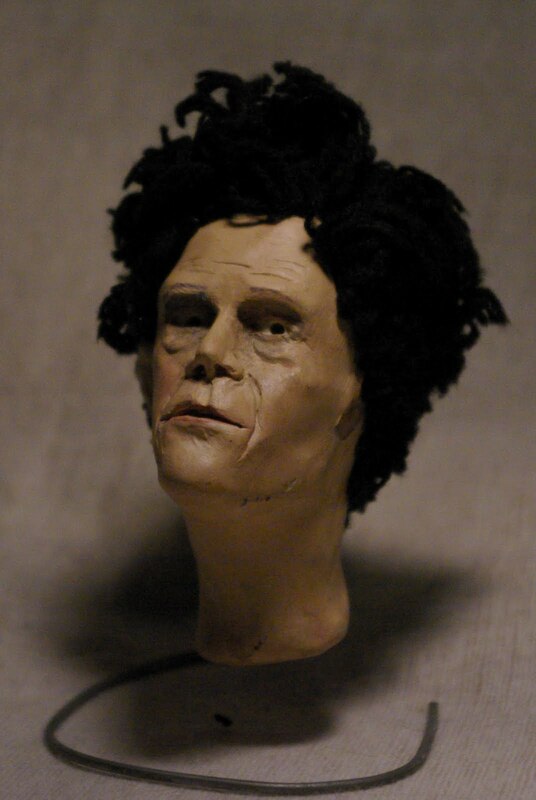 He originally had a cigarette in his mouth. Still have the project in the back of my mind. Someday soon I'm gonna do a re-sculpt and make a proper puppet using proper materials. Dre in san francisco...not that far from Waits' place.